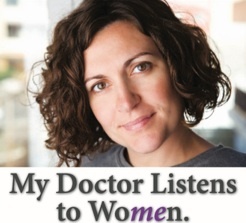 Dr. Muffley is a board certified fellow of the American Board of Obstetrics and Gynecology. He received his undergraduate degree from Otterbein College in 1992 and proceeded to medical school at Ohio University College of Osteopathic Medicine. He then went on active duty with the United States Navy and completed his residency in OB/GYN at the Naval Medical Center in Portsmouth, VA and proudly served his country for 8 years until his honorable discharge. His interests include all aspects of women’s healthcare, including office-based opioid addiction for pregnant and non-pregnant patients, obstetrics and gynecology with a special interest in Minimally Invasive Surgery including DaVinci Robotic surgery, and extensive experience in the treatment of urinary incontinence and hysteroscopic sterilization. He has multiple publications for original research in peer reviewed journals, and has made numerous national presentations, and has authored several book chapters. Dr. Muffley looks forward to developing Embody Wellness OB/GYN to offer the best and most current care available. He welcomes new patients and requests for consults. Patients will enjoy easy access to schedule appointments 24/7 and minimal wait times in the office.